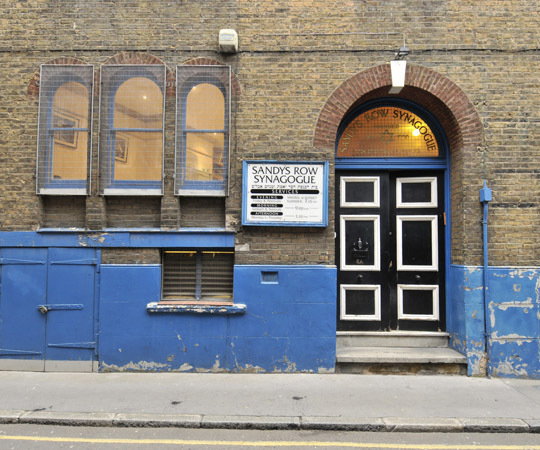 Welcome to Sandys Row Synagogue – Spitalfields. London’s oldest Ashkenazi Synagogue and the last fully functioning Jewish community in what was once the very heart of the Jewish East End. Our congregation is as diverse as our Spitalfields neighbourhood, with Jews from a wide variety of backgrounds. We wholeheartedly welcome anyone interested in discovering a warm community, spiritual meaning, and a truly vibrant Jewish life. We hold regular services, and offer lunchtime shiurs , a host musical concerts and cultural events, and special holiday celebrations. We hope you’ll explore our community and consider it your own. We were founded in 1854 by a 50 pioneering Dutch families, and since then our doors have never closed. The synagogue is now run entirely by volunteers some of whom are the direct descendants of some of the fifty founding families. We were founded in 1854 by 50 pioneering Dutch families, and since then our doors have never closed.